Mr Jaes talks about what he’s released up to now, his latest 12” and the forthcoming projects at Cafe Recordings, working with new MC’s, equipment and inspirations. How come’s the change name from Daddy to Mr? I changed it because it was getting weird having grown men coming up to me and calling me “daaaadddddyyyyy”. Where are you based and what’s the local hiphop scene like there? What releases have you dropped to date and what one are you most proud of? In 2000 we dropped CafÃ© Recordings “Sampler No.1”. In 2001, I released through Mofu Heavy Industries another ep called “Live From The Cranium Stadium”, then in 2002 we dropped another CafÃ© EP called “Set Menu 2”. I also released a free download album named “Instant Mentals”. In 2003 I produced Thee Absent’s AA 12” on CafÃ© which was “The Gym/Mondays”, then in 2004 I put out a limited release album called “Tomorrow’s World Yesterday”. We are just putting another AA 12” out now which is “Driver/Do You Know”. I’m most proud of “Tomorrow’s World Yesterday” because it was the first project I had done from start to finish, from recording and mixing, to mastering and pressing, plus it’s a bangin album! Are you running Cafe Recordings and how much of a headache does this bring? 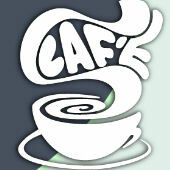 CafÃ© is run by a collective. None of us really have the time to dedicate ourselves to make the business side of things run properly. It’s always a struggle trying to be the artist, accountant, PR man etc etc. We try and cover all the bases to get things done. How long have you been producing hiphop for and what originally inspired you to start? I started out as an MC in 1989 but I didn’t have the stage charisma to pull it off. Last PA as an mc was Fresh N Funky in 1993 ish! I gradually started getting into making beats more. By about 93-94, I had stopped the mc’ing and was just doing beats. What equipment/software are you using to make your sounds? I use an mpc2000, a PC running Nuendo and a EMU classic keys for occasional sounds. Tell us about the current 12” you have out. It is a 2 tracker with P.A.C and Dandy on “Driver” which is an uptempo good time track whilst, “Do you know” is a label cut with all the mc’s that are associated with CafÃ© taking turns to spit. It’s a very nice 12. I’m pleased with it anyway! Have you got any other projects in the works and when will they drop? Can you give us some scoops on them? projects will get released over the next 12 months. Are there any UK mc’s you’re particularly fond of providing the beats for? I haven’t really worked with that many mc’s outside the CafÃ© circle. I’ve done some tracks with Inja and done some stuff with Junior Disprol, both of whom I’d love to work with again. Recently, I’ve hooked up with a crew called 35 Above and worked with those boys on some tunes. They are very talented artists and I’ve been enjoying working with them. It’s very important for me to keep loving doing this hip hop thing because once the enjoyment goes then I think that will be the time for me to call it a day. Who do you think is currently the hottest producer on the UK scene, besides from yourself? That’s a tough one. I don’t really see someone head and shoulders above the rest but there is a lot of talent out there. There’s a lot of diversity now in the scene as well. I really do think the UK scene is under-represented in mainstream media and there are and have been a lot of stars that will never get the chance to shine. What artists and producers are you feeling beyond the walls of the hiphop genre? I listen to a lot of different types of music from funk, soul and jazz to late 60’s early and 70’s hippy rock type ish. So in one day I can go from Brian Auger to The Beatles to Rotary Connection to Donald Byrd to Candi Staton to Quincy Jones to Bumpy Knuckles! The last couple of times I’ve heard your releases, it’s been the same few Cafe Recordings MC’s. Any of those guys coming out with solo ep’s or lp’s? Well we got P.A.C & Dandy working on solo ep’s. We got Geniedon and Antidote from Thee Absent working on a concept album with me. At some point Thee Absent will have to come up with some material as well so we are definately looking at increasing our artists profiles. Have you got any shout out’s you’d like to make? Bigup’s to Trixsta and the Wolftown crew, Veekay, Gbag Bless and Unique from 35 Above, Hercules and anyone who is prepared to open their minds and pockets to the Mr Jaes sound. "Those pigeon holes, well they were nothing to hold me".